The motherboard and RAM came with the processor as a bundle. For whatever reason the motherboard keeps trying to run the RAM at 1333 speeds when set to auto so I've had to force it into 1600 mode. This initially caused some stability issues that seems to have gone away. There is some strange audio hiccup coming from the rear audio out that sounds like interference. As odd as it sounds but I can also hear data being moved around the RAM. I'm not sure if this is a motherboard or RAM issue but I originally thought it was just the hard drives. After removing both of the HDD I was still hearing this noise. The motherboard VRMs don’t come with head sinks installed so I took a block of scrap aluminum and fashioned some heat sinks for them. The TIM is Arctic Silver 5 (same for the CPU and GPU) since it is non-conductive I wasn’t concerned about a short. The heat sinks are held on with some bolts and nylon washers. Only two of the case fan headers allow for variable speed. Their speed is set in the BIOS and is constant regardless of temps. The other two just run at full speed. 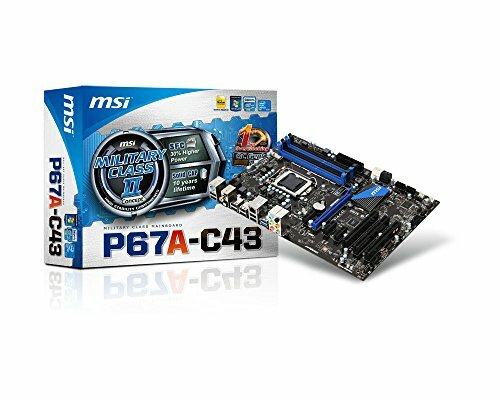 Contrary to what PCPP says, this motherboard does have a single USB 3.0 header at the bottom for front mounted USB ports.